And for every mother that dies, 7 more are seriously injured and suffer lifelong pain, societal shame, and inability to work from physical damages. • Facilitated the development of surgical, medical, obstetrics / gynecology, pediatrics, dental, optometry and other key specialty skills through the involvement of Haitian medical personnel from other parts of Haiti on these teams. 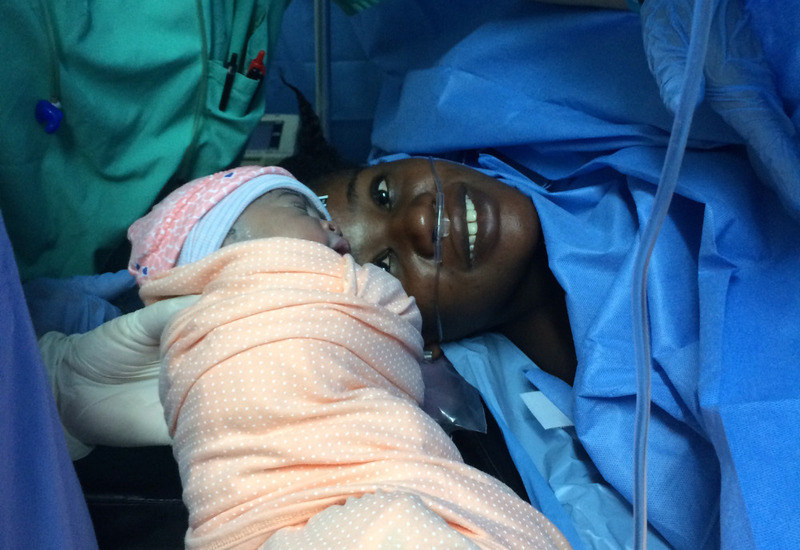 Recently, a 6-month grant funded a Haitian OB-GYN and anesthesiologist on-site at the hospital for 3 of 4 weeks per month. This funding allowed a healthy outcome for over 304 mothers and children by assisting deliveries and / or performing C-Sections. THE FUNDING FROM THIS GRANT, HOWEVER, HAS COME TO AN END. 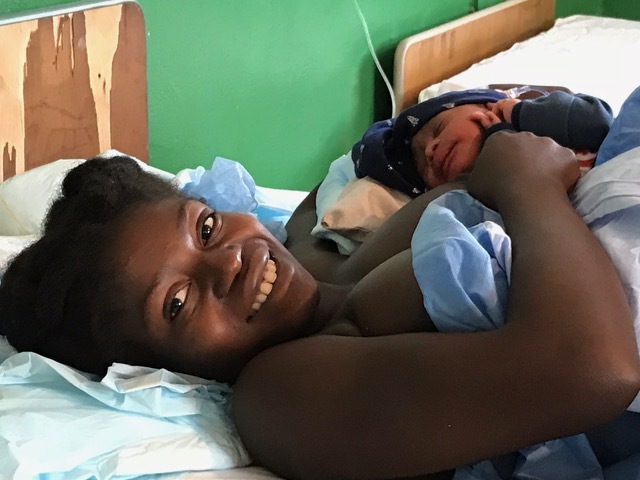 MATH is asking for your support to continue the funding so vital to maintaining an OB-GYN/surgeon and anesthesiologist on-site in Dame-Marie and providing much-needed obstetrical services. The cost for both an OB/GYN and anesthesiologist to be onsite is $1,000 per week, for a total of $52,000 per year. This sounds like a lot of money, but this equates to only $2.97 per hour for these two Haitian professionals who reside in the hospital and are available 24/7. You will receive a tax-deductible email or letter. Copyright © Medical Aid to Haiti. All rights reserved. 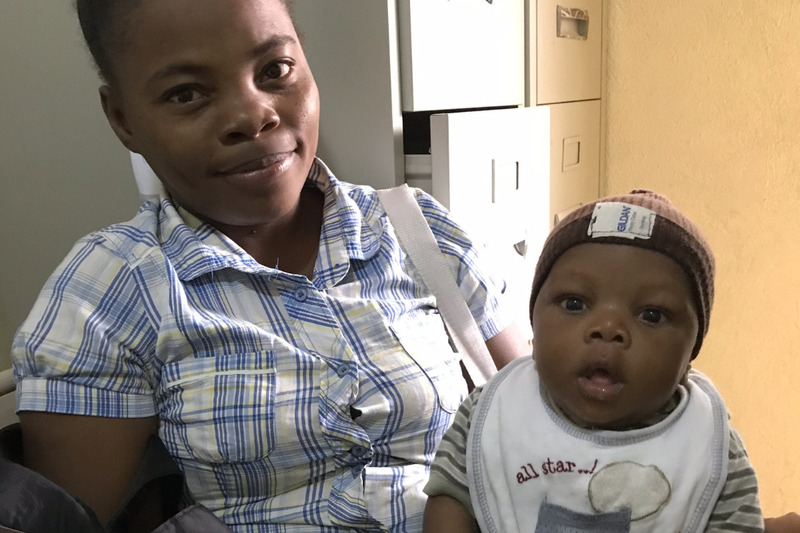 This happy little boy is now six months old and delivered by Cesarean section during our May mission when we worked alongside the on-site anesthesiologist and OB-GYN, who are funded by your support. His mother came in November to thank us once again for the safe birth of her healthy son. A quick 2018 year-to-date update on how your donation is benefiting the community of Dame-Marie through having an OB-GYN and anesthesiologist on-site 24/7. 1,435 (average 159 per month) prenatal visits. These results would not be possible without your support. Please continue to share this GoFundMe effort with your family and friends (again), so these much needed services for the mothers and babies in Dame-Marie can continue. Please continue to share this GoFundMe effort with your family and friends (again), so these much needed services for the mothers and babies in Dame-Marie can continue. Continued.. And in great measure our success in the field, is only matched by the support and behind the scenes work of our families, and our friends, and neighbors and our missionpeople in the departments at Saint Francis and MATH, and people like the donors here who do what they can so we can do what we do in the field. Thank you, and hugst to you all on this Mother's Day. God Bless. Continued.. I still have that picture of Marianna and her newborn son Louis that I carry on each mission trip. Hundreds and hundreds of mothers and children are now alive and well due to the sacrifice Marianna unknowingly made. And the promise I made to her and her son for better outcomes of mothers and children like them, is alive and well due to over 600 medical and non medical volunteers who have now served with us on the front lines. I donated because I have a great deal of respect and admiration for Dr. Michael Bourque and his mission. Can never do enough to support and thank Dr. Michael Bourque for being my doctor for 35 years.